DNV GL won first place in a competition organised by GRTgaz, the French natural gas transmission system operator, who runs a series of challenges over the year to identify innovative concepts to optimise their operations. The winning solution is aimed at reducing the carbon emissions associated with pipeline maintenance activities. The specific objective of this innovation challenge, which is part of GRTgaz’s Open Innovation program, was to provide a solution to reduce the environmental footprint of network maintenance activities for GRTgaz, requiring the evacuation of pipes while avoiding or minimising burning or venting of trapped gas. 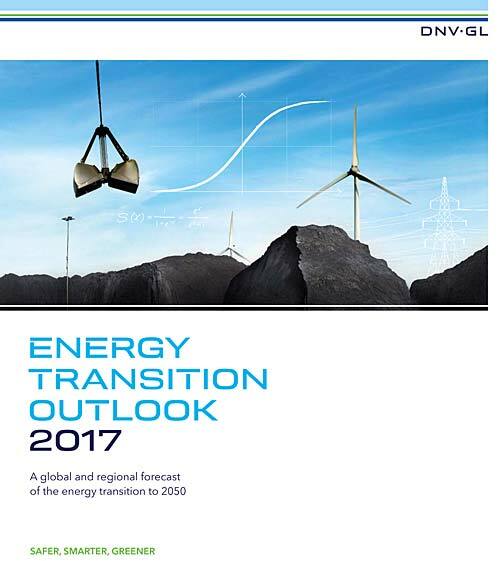 DNV GL’s 2017 Energy Transition Outlook highlights that gas will continue to play a key role alongside renewables in helping to meet future, lower-carbon, energy requirements. Increased interest in gas is expected as “oil” majors reduce the carbon impact of their business portfolios. Globally the industry is looking for ways to minimise methane and direct CO2 emissions. In France, methane emissions represent more than 2,000 KT, mainly emitted by agriculture and the waste treatment sector, which together account for more than 90% of emissions related to human activity. In comparison, GRTgaz represents less than 1% (20 KT) of methane emissions. GRTgaz is an international asset owner and is operator of the longest natural gas pipeline system in Europe. The company is committed to being exemplary in terms of environmental behavior and wishes to reduce the residual releases of natural gas to the atmosphere during the operation of its industrial equipment. For many years GRTgaz has been implementing and testing innovative methods to reduce greenhouse gases and emissions. 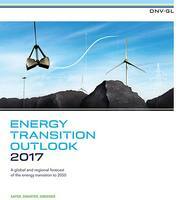 The DNV GL solution will be another key methodology to address this. For GRTgaz’ innovation challenge DNV GL proposed to introduce purging of pipelines with nitrogen as a method of evacuating pipeline segments complementary to the existing methods: gas boosting, and venting or flaring. Under suitable operational conditions purging with nitrogen has the potential to minimise methane and direct CO2-emissions in a safe and cost effective way compared to current methods. To apply the new method successfully DNV GL would deliver clear guidelines on how to implement the nitrogen purging technique safely and effectively as well as providing a decision support tool to help select the best method to be applied in specific process conditions. The nitrogen purging option will be added to DNV GL’s existing decision tool Pipeline Evacuation Technology Selector (PETS), which is based on a value chain approach, including information on greenhouse gas emissions, operational costs and the complexity of the setup. Purging pipelines with nitrogen involves the injection of nitrogen at one side of the pipeline, causing the trapped natural gas being displaced to a downstream pipeline segment. Upon detection of excess nitrogen by means of a continuous gas quality measurement system, the pipeline to be evacuated is blocked in. The nitrogen in the pipeline is then vented into the atmosphere. Significant reduction of methane emissions during pipeline maintenance operations compared to the application of current technologies. Relatively simple machinery to be deployed. No visible flames or uncontrollable noise. Less deployment of highly qualified staff required once tie-ins are established. “Our involvement in these innovation challenges underpins our vision of having a global impact for a safe and sustainable future. As a next step the team aims to define a specific solution for GRTgaz to support them with implementation on their whole network. This nitrogen moving technique is only one element of a broad suite of tools, solutions and methods to help mid and downstream gas transmission operators reduce their CO2 footprints,” says Claire Fenouillet, Senior Consultant.